WARSAW, Aug 21 2014 (IPS) - Polish farmer Slawek Dobrodziej has probably the world’s strangest triathlon training regime: he swims across the lake at the back of his house, then runs across his some 11 hectares of land to check the state of the crops, and at the end of the day bikes close to 40 kilometres to and back from a nearby town for some shopping. That Dobrodziej would still want to enter the triathlon, despite working daily in the fields from dawn until well into the night, speaks volumes about his supra-human levels of energy. But it takes this kind of stamina to succeed as an ecological farmer in Poland. Today, around 3.5 percent of Poland’s agricultural land is taken up by organic farms. Their number has been growing steadily over recent years, yet farmers complain of obstacles. Of the country’s some 1.8 million farmers, just 26,000 have organic certification (though some of these farms are just meadows and do not necessarily produce food), and only 300 of these are vegetable producers. Under the most recent national policies (adopted in parallel to the new European Union’s 2014-2020 budget, which will finance Polish agriculture), Polish authorities have been cutting subsidies for medium and large organic farms, and they have practically eliminated public support for organic orchards. Smaller organic producers have to struggle with complicated bureaucratic procedures in place for obtaining national or European funding. Slawek Dobrodziej and his wife Malgosia clearly have the determination to penetrate these procedures. Over the past eight years, the couple have managed to build up a successful organic farm in the village of Zeliszewo, near the western city of Szczecin. They sell some 100 types of fruit and vegetables to consumers in several Polish major cities, including the capital Warsaw. According to Malgosia, the book-keeper of the family farm, the first years were particularly rough. Selling large quantities of one product to food processing companies did not pay off: organic farming, which uses no pesticides, is labour-intensive, and the prices paid by the companies were not enough to cover costs. The family managed to access some national and European funds, but the amounts were barely sufficient to buy some basic machinery. European money must often be co-financed by the recipient, meaning that obtaining more funds would be impossible without becoming heavily indebted to banks. The Dobrodziej’s fortunes improved once they diversified their vegetable production and found opportunities to sell their produce directly to consumers in big cities. Selling to a bio bazaar in Warsaw was a turning point. Additionally, for the first time this year, they started selling to consumers via two community-supported agriculture (CSA) schemes in the cities of Szczecin and Poznan, through which the roughly 30 consumers in each scheme pay them in advance for vegetables they will receive weekly throughout the summer and autumn months. The CSA model is based on the idea that consumers share risks with the farmers: consumers enter the scheme agreeing to take whatever vegetables the farmer is able to produce given weather conditions. They are also able to volunteer on the farm, which provides an understanding of seasonality and farm work that few city inhabitants have. Malgosia says that CSA is an excellent way of offering financial stability to a small farm. The first CSA was created in Poland in 2012 in Warsaw, and this year six such schemes are operational in the country, including the two served by the Dobrodziej. More schemes are expected to be launched next year, given the warm welcome the model has received from city consumers and the farming community. At the moment, the Dobrodziej’s week is a mad rush among various cities in Poland, with night-long drives to deliver fresh products, followed by days in the field. Yet Malgosia hopes that next year, once the bank credits are paid, they will be able to rely only on the two CSA schemes and sales to bio bazaars in Warsaw and Katowice. Meanwhile Slawek dreams of setting up an organisation to promote the model nationally. “I think many Polish farms could go this way, because the model is really economically viable for farmers,” says Sonia Priwieziencew, who together with her partner Tomasz Wloszczowski, runs a 6 hectare organic farm in the village of Swierze Panki, 120 km northeast of Warsaw, which has been serving the first CSA in Poland for three years. Priwieziencew and Wloszczowski had been active for years in NGOs promoting organic farming in Poland and they wanted to put theory into practice. “CSA could help promote farm biodiversity because consumers buy different types of vegetables and products in this scheme, and it could also help to spread the certified organic model, which is only marginally developed in Poland today,” says Priwieziencew. After years of experience with advocacy work and promotion of the organic model among farmers, Priwieziencew is quite critical of the authorities’ approach to ecological farming. According to her, despite the fact that the vast majority of farmers in Poland today have small plots of land, the policies issued both by the Polish government and the European Union are more favourable to large-scale industrial farming. Despite the new Common Agricultural Policy adopted this year in Brussels, which is supposed to provide guidance to farming in the European Union for the coming years, paying much lip service to organic farming and small-scale agriculture as means to ensure food security, limit climate change and preserve biodiversity, national policies and financing do not necessarily follow this direction, particularly in Central and Eastern Europe. Yet, over recent years, citizens in these regions have become increasingly aware of the faults of industrial food production and numerous initiatives intended to safeguard small farming and promote ecological agriculture have been created across both regions. This month, Warsaw saw the opening of the first cooperative shop bringing vegetables and other foods directly from producers, most of them local, and selling them at a discount to members of the cooperative who volunteer work. Cooperatives and vegetable box schemes exist in most big Polish cities and are even developing at the level of neighbourhoods. A newly discovered passion for urban gardening in the country has led museums in Warsaw and other cities to open up their green areas to local inhabitants who want to grow vegetables. Other countries in the region are not lagging behind. At least 15 CSA initiatives exist in the Czech Republic and, in addition, vegetable box schemes and urban gardens are continually appearing. 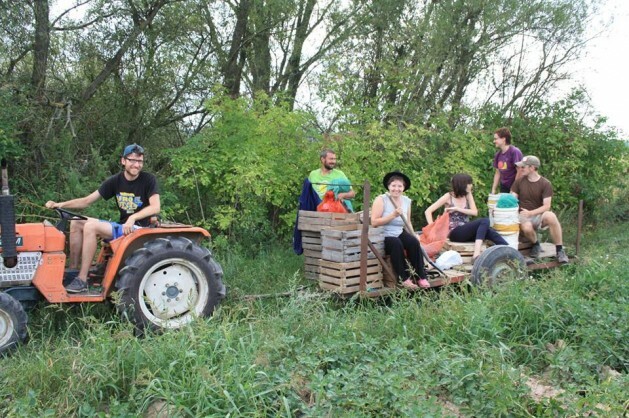 In Romania, CSA groups exist now in at least six different cities, with some of the farms explicitly employing people from marginalised social categories.